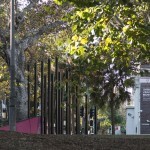 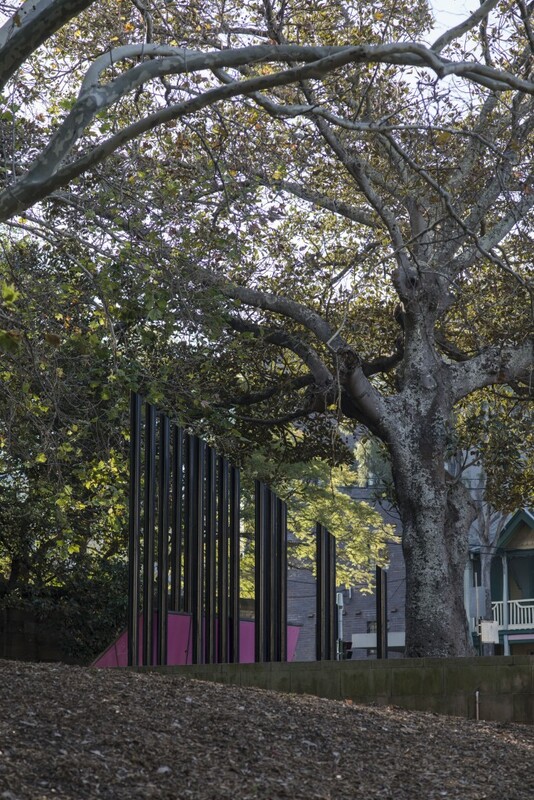 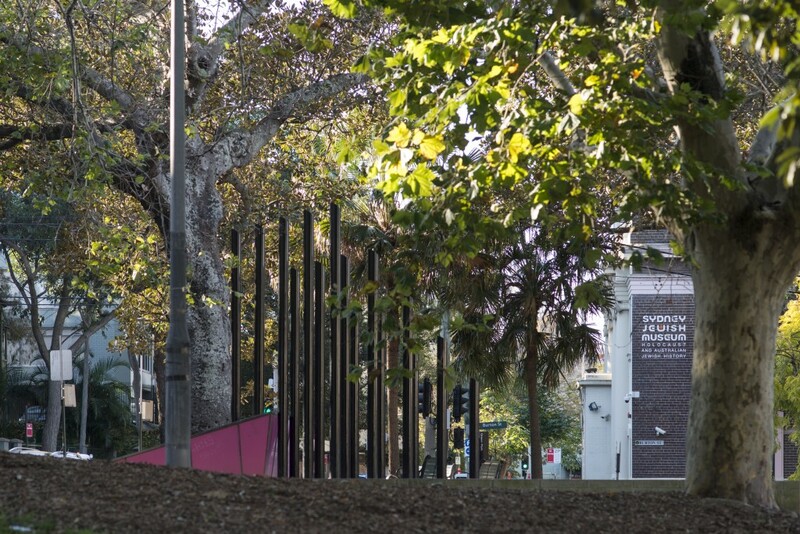 At the top end of the large, well-used Green Park in Darlinghurst, close to the Jewish Holocaust Museum, stands the Gay and Lesbian Holocaust Memorial. 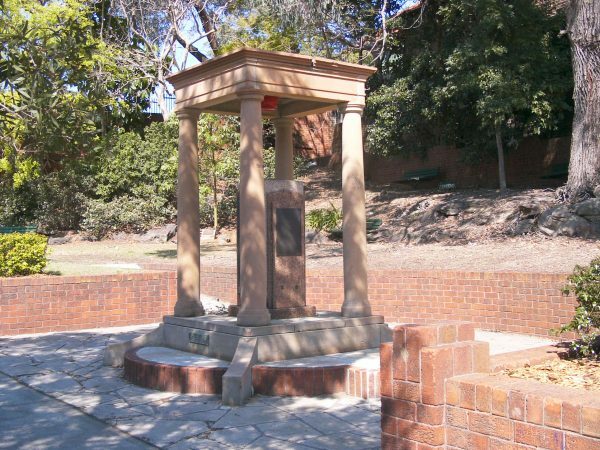 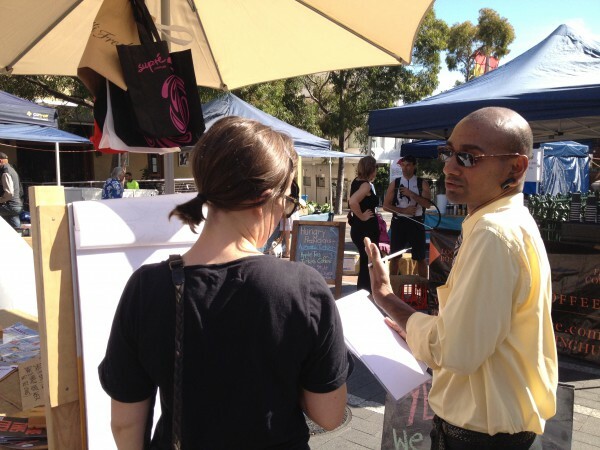 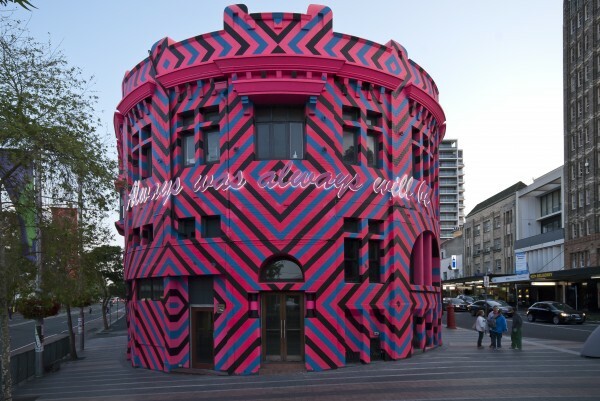 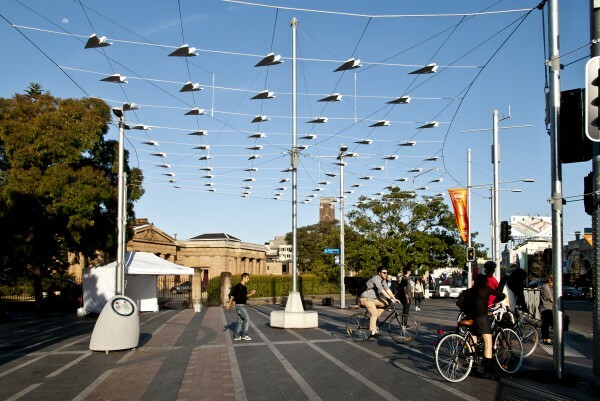 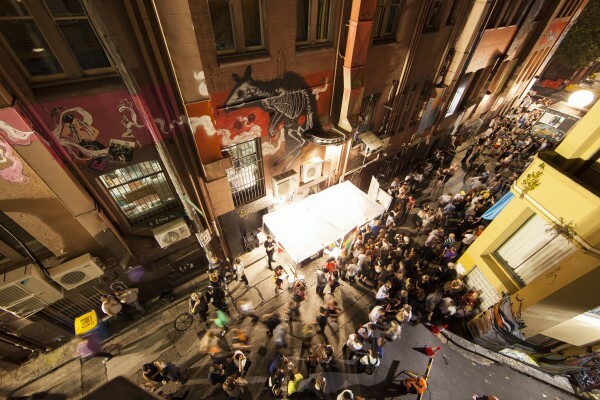 It is located on a triangular platform in an area known as Stonewall Gardens, facing Darlinghurst Rd. 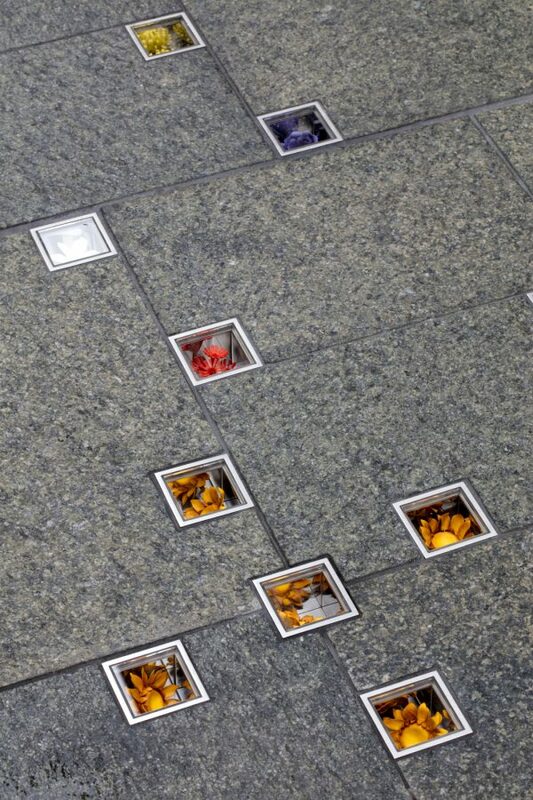 This artwork was built to commemorate all homosexual men and women who have been murdered, tortured and persecuted because of their sexuality. 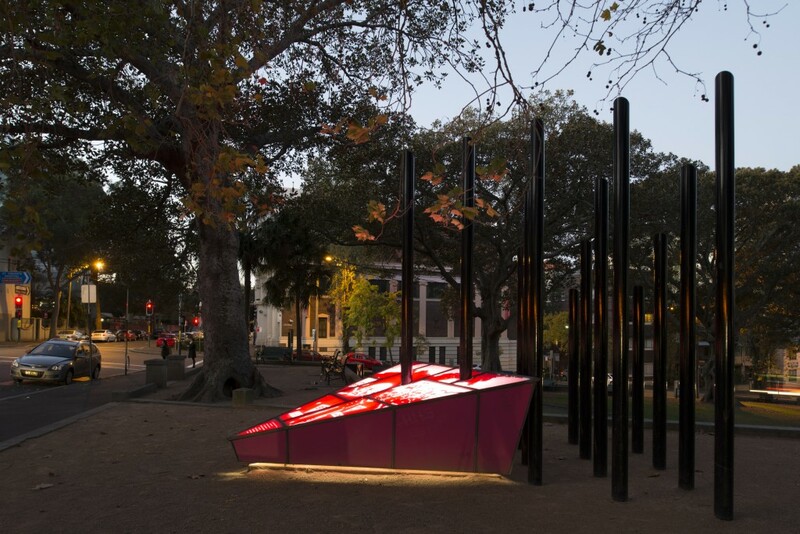 It celebrates the memory of those who were victims of oppression during the Nazi Holocaust and in the Soviet labour camps, and is also dedicated to present-day gay and lesbian victims of violence in Australia and throughout the world. 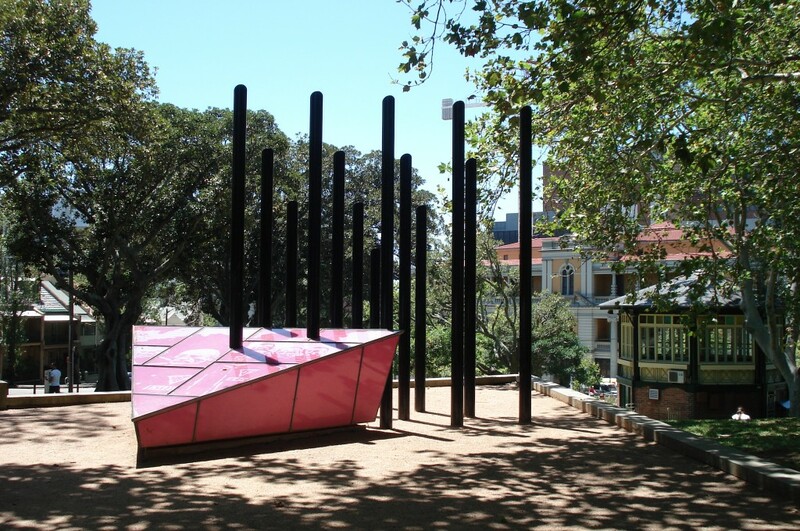 The memorial recreates symbols used in the Holocaust: a pink triangle to identify homosexual men, and a black triangle to identify lesbian women. 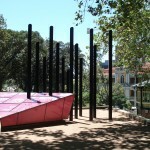 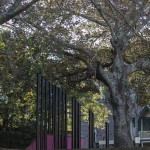 The artwork consists of a pink triangular prism, made of enamelled steel, and a grid of black steel columns in the form of a triangle. 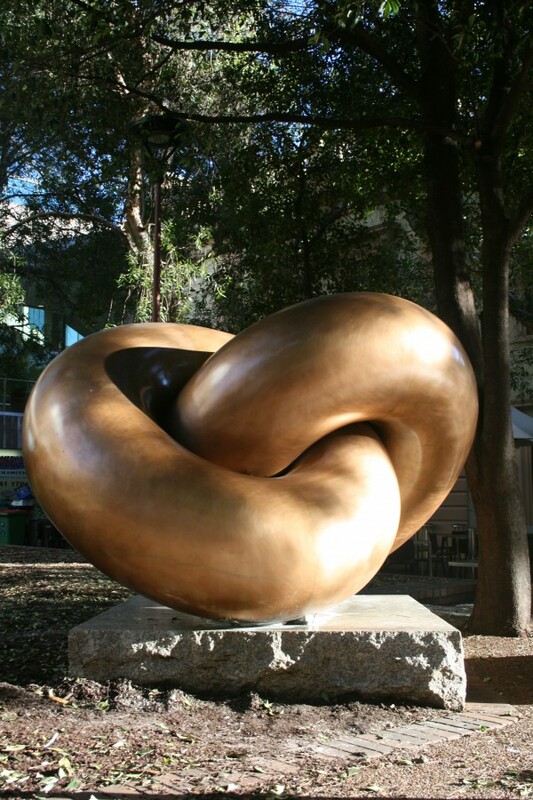 Together, the two elements form a fractured Star of David. 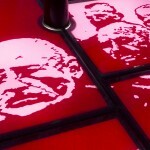 The prism is etched with images of people who suffered persecution, and of Sachsenhausen Concentration Camp in Germany. 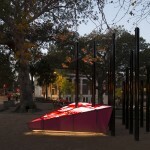 During the day, the glass surface reflects the surroundings, and at night it glows with a soft light, symbolising hope and life. 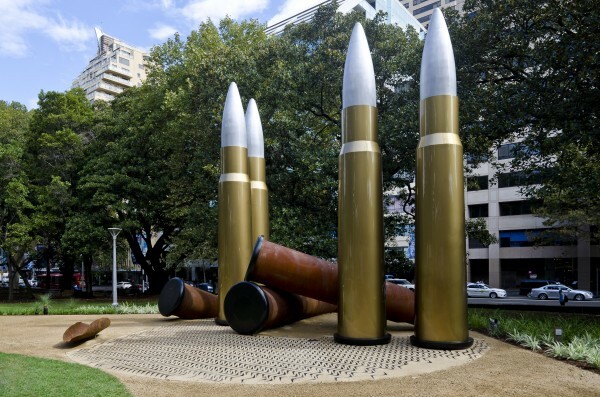 This artwork was commissioned by The Gay and Lesbian Holocaust Memorial Project, which was established by community groups in 1991.
and all those who have refused the roles others have expected us to play. 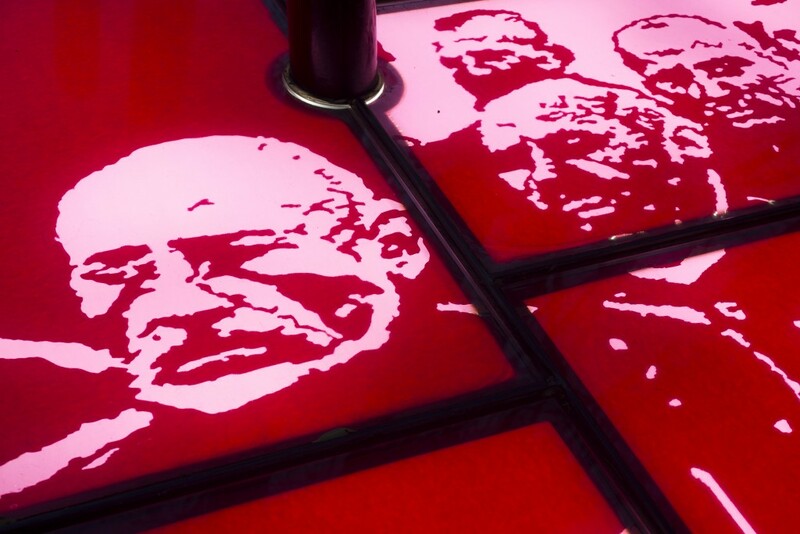 Nothing shall purge your death from our memories.